In a city filled with so many delicious restaurants, it’s hard to pick your favorite, but Longman and Eagle is definitely one of my favorite restaurants in Chicago. Many people would be surprised to hear that a Michelin star restaurant is tucked away in Logan Square, but actually, Logan Square has many great restaurants. 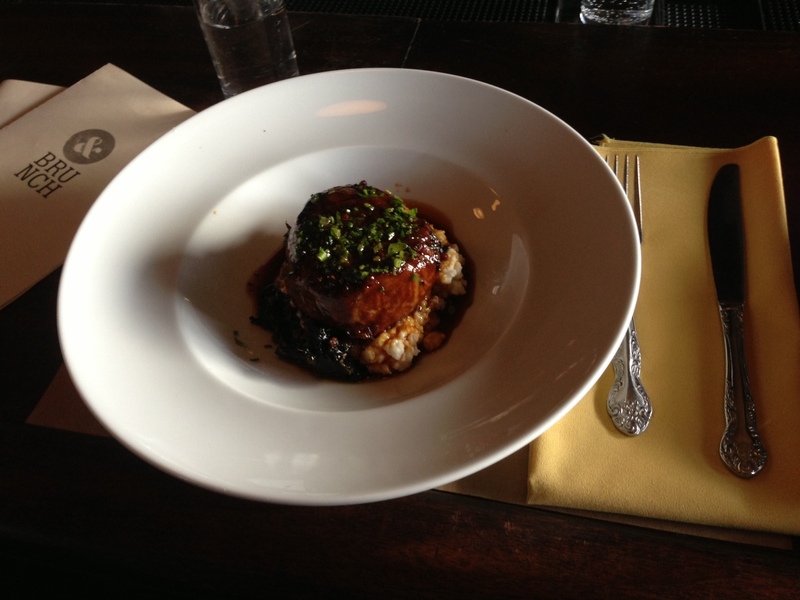 This high-end gastropub serves American Contemporary cuisine and is a favorite among all walks of life. I for one jump at any opportunity to eat or drink here. Often people ask me where they should take their Chicago visitors to eat, and I almost always say Longman and Eagle. Named after the artist who sculpted the eagle on top of the Illinois Centennial Monument in Logan Square, Longman and Eagle has everything you could want in a restaurant. It has delicious food, unpretentious aura, vibrant atmosphere, diverse crowd, and an excellent drink menu. With a location off the typical beaten path and a hipster bar feel, taking your visitors here will allow them to not only have a great meal, but also see a side of Chicago that not many visitors check out. There must be a downside to this place, right? Well, you are right. Longman and Eagle doesn’t take reservations. That means sometimes you may have a 2 hour wait to get seated. Don’t worry, because they will take your phone number and call you when your table is ready. So, grab a drink down the block and wait it out. This place is worth the wait, and I don’t see the crowds slowing down any time soon. 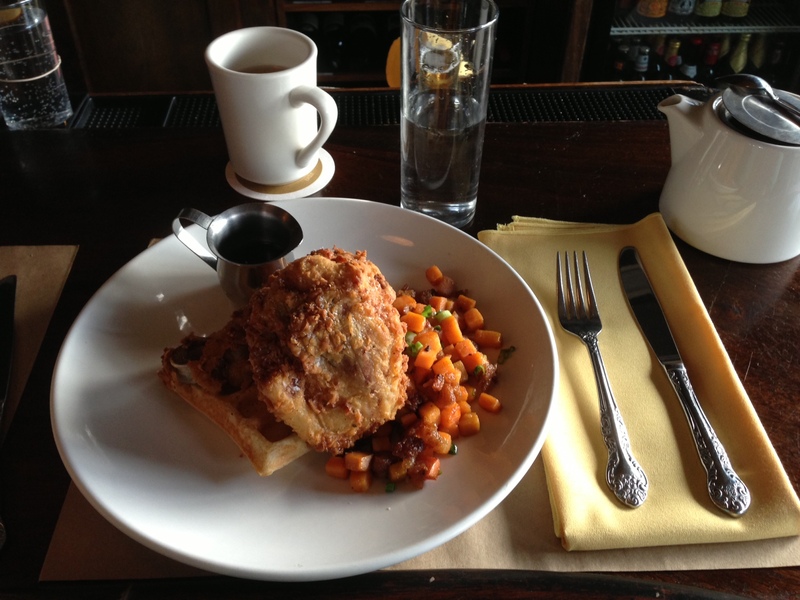 Longman and Eagle is not only a great choice for dinner, but it also has an excellent brunch menu. I recently tried the Whole Hog Crepinette and Fried Chicken and Waffles, and both were excellent. They also have a PBR special for brunch, and you should take a look at the price of the meal with and without the PBR. It will make you laugh, and just shows you how great this place really is. If it’s your first time there or you might not be back for a while, get the Crepinette for brunch. For dinner there are many great options, so I won’t give you a long list of recommendations. To be honest, I haven’t had anything I didn’t like there. For my New York friends, I often tell them to get the Pork Belly. It’s one of my favorite dishes, and I found not many places in New York (or anywhere else for the matter) cook pork as well as they do at Longman and Eagle. Last, but definitely not least, come thirsty! This place has a great whiskey menu and even serves some good pints of beer as well. They pride themselves on the fact that you can grab a good cup of coffee in the morning and then return at night for pint of beer and more delicious food. If you haven’t checked this place out, then you should. It’s one of the few places in Chicago that I return to often. Did you know that they even have hotel rooms upstairs for you to stay at? I haven’t checked those out yet, but I’m hoping I can talk my next vistors in to staying there.